The “Consorzio del Vino Nobile di Montepulciano” since 1965 protects and promotes the image of the wines of the town, it spreads knowledge, implements programs for the continuous improvement of quality, active research on the wines, promotes initiatives for the wider dissemination of the products and for the protection of their denomination. 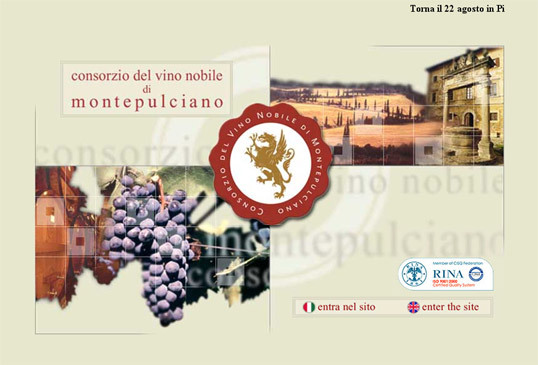 Interface and implementation for the redesign of the site of the “Consorzio del Vino Nobile di Montepulciano”. Study of the site and the pages, trying to integrate the communication of the taste of tradition tied to the production of these fine wines.